Montréal is one of my favourite cities in the world. The relatively young city lies on the banks of the Saint Laurence River on the eastern coast of Canada. The city is a port of call worthy of many bucket lists. Make sure you book into a hotel for a few days before or after your cruise. After a direct transatlantic flight from London Heathrow to Montréal–Pierre Elliott Trudeau International Airport with Air Canada, I spent two nights in Montréal and crammed in as much sightseeing as I could. 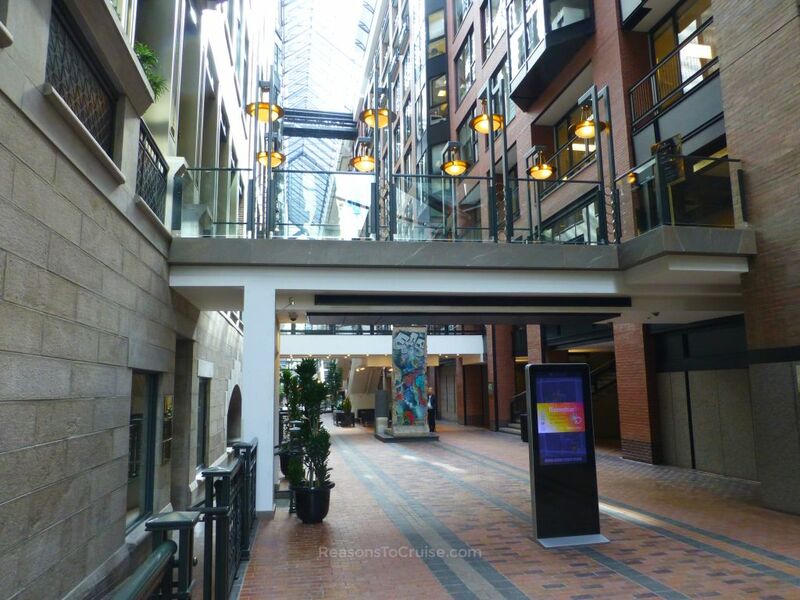 Based in the Intercontinental Montréal, I was a short distance from the Vieux-Port de Montréal (the Old Port), the famous Saint Laurent Boulevard, Downtown Montréal, the incredible Underground City, and thanks to the small Metro network I was a stone’s throw from the Olympic park. The Old Port was my first taste of the city as I headed out of the hotel, exhausted from the flight. The city was far from what I perceived it to be. Tiny boutiques and bistros jostle for space. Restaurant seating spill onto the sidewalks, the sounds of ambient music fill the air, and fragrant aromas draw in the customers. Not a high street brand name was in sight. Little traffic passed on by, and the area was serene. I had braced myself for New York and found myself in Paris. By day it was easier to see the beauty and importance of the Old Port district. My tour guide explained that many boats docked in Montréal in the 1800s to seek refuge from the Saint Laurence River’s fierce rapids. Together with its railway network, transportation helped the city become a transit hub, putting Montréal firmly on the map. Today you will find cruise ships in Montréal as well as cargo ships. But this district is more synonymous with movie making nowadays. Blockbuster films have used the historic area as a backdrop. Its Anglo-American architecture means filmmakers need not travel from Hollywood to Europe to shoot a scene. The port area has been regenerated providing plenty of lush green space. Preserved buildings lie the area. 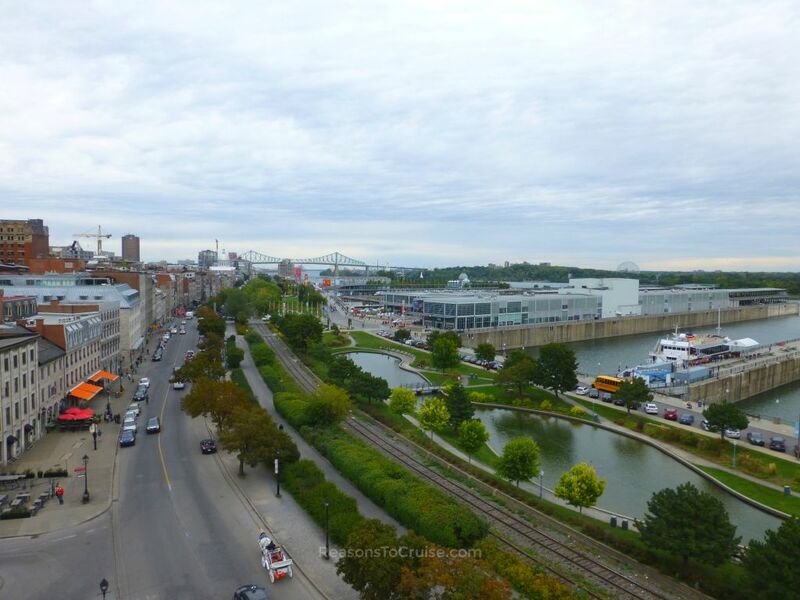 A visit to the Montréal Museum of Archaeology and History gives a good understanding of the city’s history while the observation floor affords great views over the port. The Notre-Dame Basilica nearby is worth a visit, partly for the intricate detailing and partly to understand how religion and capitalism conflicted. The imposing 32-storey Banque National skyscraper and the Bank of Montréal Museum dwarf the grand Basilica. Saint Laurent Boulevard divides Montréal. When immigrants arrived in Montréal, they settled along this long, straight road. I walked up the Boulevard from the Old Port and could clearly see the distinction in where they had settled. China Town makes way for Little Italy. Next is the Jewish Quarter, home to Schwartz's Hebrew Delicatessen – if you don’t mind queuing make sure you eat here. The deep-filled Smoked Meat sandwich is delicious, and the quick-witted counter staff makes for good entertainment. You won’t be here long as service is swift and tables are turned around rapidly. By night, the Boulevard felt intimidating. Briskly walking through a sea of aggressive, intoxicated revellers and beggars that lined many of the sidewalks, I headed up to the intersection with Avenue du Mont-Royal and headed eastwards towards the Mont-Royal Metro station. This Avenue was buzzing with life, with restaurants and bars crammed full. Avenue du Mont-Royal began to feel more like the Montréal I had expected to find, but my next tour guide took me to Downtown Montréal. Here was the bustling metropolitan district I had expected to see. 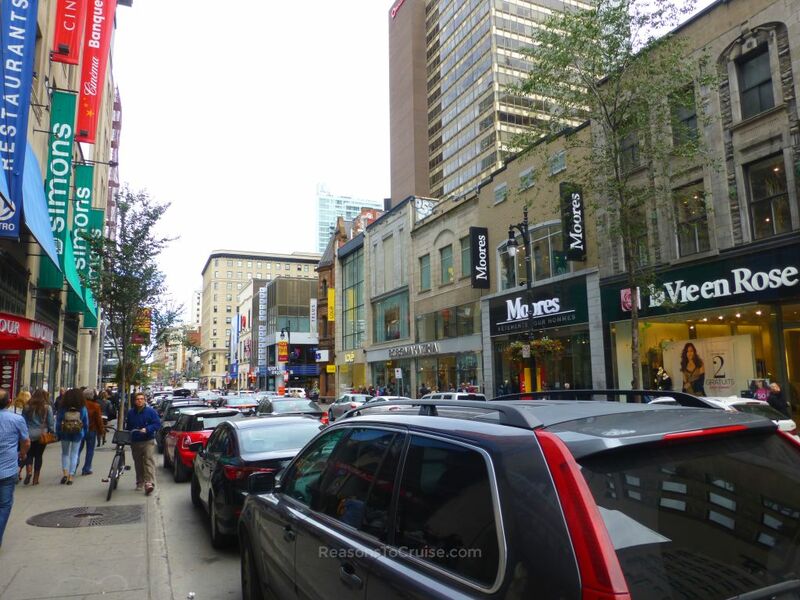 Located near the McGill University, the streets are home to familiar global brand names. Capitalism juxtaposes religion as preserved green copper-roofed churches are surrounded by soaring, modern skyscrapers. For the brave or the stupid (I’m not sure which category I fall into) an exhausting hike up Mont Royal affords outstanding views across Downtown. Just make sure you plan it beforehand or, like me, you’ll end up giving up all hope a mere 100 metres away from the viewing area. The maximum building height permitted in Montréal is 233 metres, the height of Mont Royal, so the skyline is incredible. Winter in Montréal is fierce where the temperature can dip as low as -15°C. Combine that with a blanket of snow and a wind-chill factor and the journey to work seems like a miserable ordeal. Enter the 20 mile-long network of tunnels known as the Underground City. Known as RÉSO, the backbone is the Metro network. The tunnels pass through key areas in the city, predominantly in Downtown. A series of privately owned sections connect to form a network which means you can avoid walking outside in the cold. Tunnels regularly break out into large dining areas, lined with a diverse range of eateries. Others open out into sprawling underground shopping malls. When it comes to tourism Montréal has had some real boosts. The first was in 1967 when the city hosted the 1967 International and Universal Exposition (otherwise known as Expo 67 or the World's Fair). The second was in 1976 when the Olympic Games came to town. Today the Olympic park has been transformed into a series of tourist attractions. The Olympic Stadium is home to the Montréal Tower, one of the world’s tallest leaning towers at 175 metres. It is an observation tower while the stadium, boasting the largest seating capacity in Canada), is still in use as a sporting and entertainment venue. The Olympic Pool is now a sports and aquatics centre. 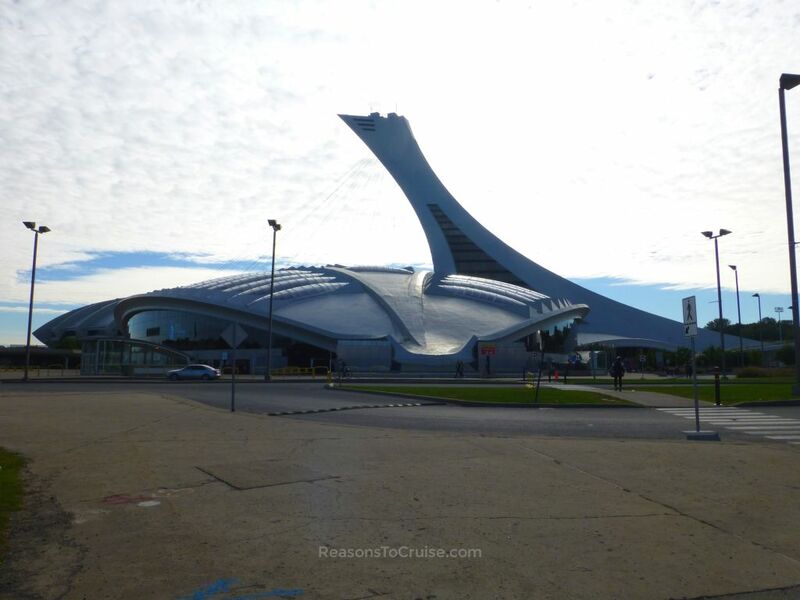 The Olympic Velodrome has become the Montreal Biodome, an attraction perfect for families. A diverse range of wildlife, flora and fauna live in this climate controlled environment. The Montréal Botanical Garden, used for Athletics and the Pentathlon, is a sprawling park with open green spaces, beautifully manicured gardens, and lakes. Remember to take a map as it is easy to get lost. You can fly to Montréal–Pierre Elliott Trudeau International Airport (YUL) direct from London Heathrow Airport (LHR) with Air Canada or British Airways. Air Transat operates direct flights from London Gatwick (LGW) to Montréal on selected days. Canada and New England cruise itineraries traditionally peak when cruise lines reposition their ships to avoid the worst of the storms in the autumn. Holland America Line runs weekly sailings between Montréal and Boston (as well as two-week, back to back cruises) from late April to early October. Azamara Club Cruises°, Crystal Cruises, Cruise & Maritime Voyages, Silversea, Oceania Cruises, Regent Seven Seas Cruises, Viking Ocean Cruises, and Seabourn each have ships that call into Montréal on selected longer itineraries. For more details on Montréal visit destinationcanada.com. Disclosure: Tourism Montréal kindly organised my trip to the city. The opinions in this article are my own. 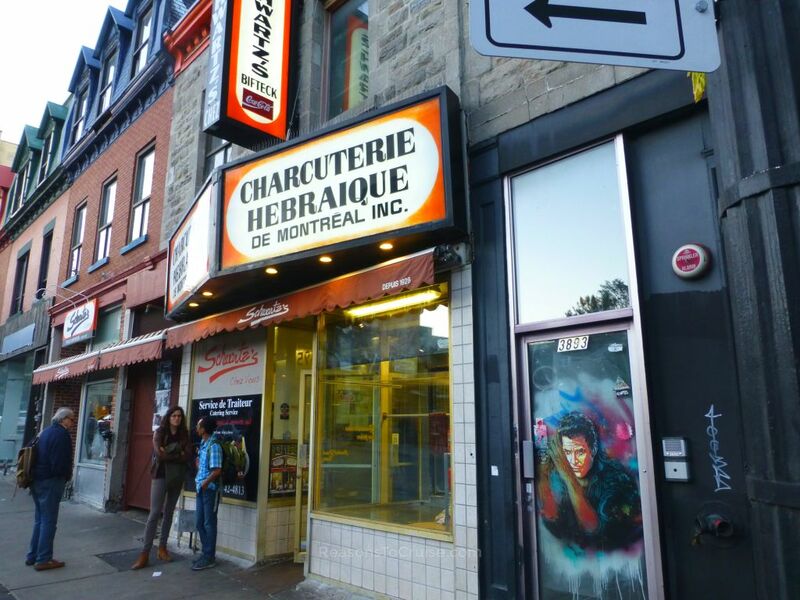 Have you visited Montréal? Is it somewhere you would like to visit in the future? Let me know in the comments below.